As part of this initiative, all service related issues till date and henceforth pending for more than 15 working days at service centers will automatically get a 3 months extended warranty. 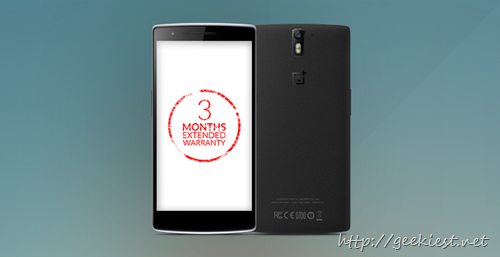 This service will be applicable on the OnePlus One and all future smartphones. This offer will be available for the Indian users who bought the phone from the Global portal before it launched in India too. There were lot of bad reviews coming up about the customer support of OnePlus India, and this may be a initiative to reduce the customer anger about the after sale support on OnePlus One. OnePlus also added a new toll Free customer care phone number 000 8008 522 008 last week.